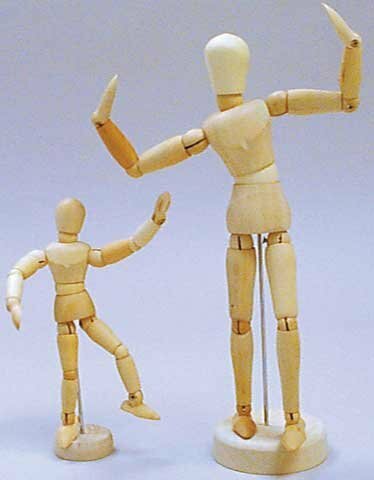 Manikins by Art Alternatives: Manikins are useful tools for learning to draw. These are accurately proportioned and they are flexible enough to mimic many human positions. Each is made of unvarnished hardwood and comes with a stand. View More In Artists' Manikins. If you have any questions about this product by Art Alternatives, contact us by completing and submitting the form below. If you are looking for a specif part number, please include it with your message.